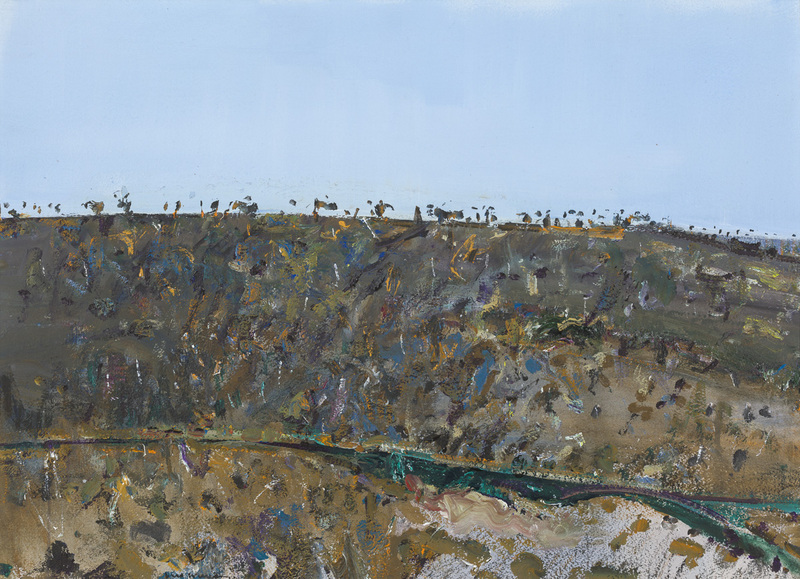 The Murrumbidgee at Cavan, 1977, was ‘one of a series painted at a property near Yass while staying there in the August school holidays.’ According to Lyn Williams, ‘there were never any oils painted from them’, however the works that were produced nevertheless show some exciting developments in Williams’s work.1 Using gouache and synthetic polymer paint and pastel, this mixed media work is heavily impastoed. The paint and pigment has been dragged across the surface with the effect of creating subtle differences in texture and tone. The density of the paintwork and the colour juxtapositions that had inspired the Kew Billabong series have been continued, but Williams introduces several colour highlights that provide contrasts echoing the locality and time of day.